Sure everybody loves wine, but few possess the passion and wherewithal to make a full-time career out of their passion for Pinot. One such woman who has made it her mission to demystify one of life’s great potable pleasures for the masses is Cake Wines’ head winemaker, Sarah Burvill. Based in Sydney but operating out of the Adelaide Hills, Cake Wines is one of Australia’s most innovative independent boutique wine businesses. With a goal to reduce the haughty stigma around vino, Cake – who donate 10% of their proceeds to independent radio stations nationwide – view wine as going hand-in-hand with culture in a larger sense, and play host to everything from album parties to ideas forums at the first cellar door of its kind in Sydney. GRAZIA recently spoke with Burvill to distil the demands of a career in wine down to the following delicious insights. Drink up. I first met the boys probably about four years ago. Really at the time I was looking at their wines, what they had already put together and put in bottle, and I was more or less just consulting and just giving them a little bit of advice in terms of trying to understand what they were trying to achieve and using my 17 years in the industry just to try and give them a little bit of guidance at the time. I’ll be honest as soon as I met them I was just totally blown away with what they were trying to achieve with this concept of showing wine in a completely different way. I’ve been in the industry for such a long time I was just thinking it’s getting a little bit stagnant in terms of the way we show wines to people. The guys were just thinking outside the square just making it so much more approachable, and friendly, and fun again. Taking out all of the intimidation factor. I was ready for a bit of a change and they were quite keen with the proposal I had to sort of produce their wines from the Adelaide Hills. At the time I was still obviously making wines for another brand from the Adelaide Hills, which is a region that I live in. It’s a wine region that I’ve come to love right from the get go because I straight out of uni I worked for Orlando Wyndham for eight years, so I was based in the Barossa and was responsible for all the aromatic wines coming out of the Hills. It just meant that I have a really good grasp on the growers that grow there, the soils, and the topography. I spent my childhood running through vineyards. I’ve always loved wine, and as I got older I began working in the winery and in the cellar door. [My parents] aren’t winemakers by training – my dad’s an engineer, my mom’s a nurse – but they were partners in a winery down in McClaren Vale, so that’s I guess why I was aware of wine making. When I was six-years-old, I remember we had a big party when we bought the winery and there were all these barrels that the kids would climb all over. When we tasted some of the wine out of the barrel I got tearful but no one seemed to mind. I remember thinking that it really wasn’t great. I studied a bachelor in agricultural science in oenology for four years. We were the last group to go through Roseworthy [which was] Australia’s most iconic wine school. When I started out in 1998, there were only eight people in my cohort and it was lovely. That’s back when there were jobs waiting for us all in the industry, and there was still a lot of romance in it. Now it’s so popular and there are no jobs for any of these people. Sadly, we’ve gone from hands-on to really academic wine making, but it’s really not the same because unless you can operate a pump and get your hands dirty. People never used to think of wine as a career. People eventually got wind of the fact that they could actually have a job just making wine – I mean, wine brings so much joy to so many people and it’s part of every celebration. When my younger brother he came back from living overseas he couldn’t believe that this was what I got to do. He then became a wine maker as well. I’m a chemistry nerd. I love the chemistry. The numbers don’t tie me down but I just love all those natural processes, so it’s a perfect job for me. 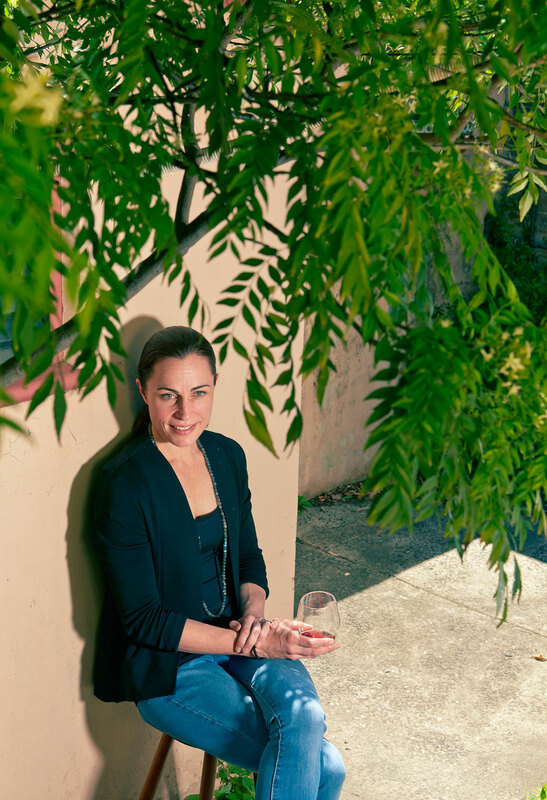 When I started my job at Orlando, I was the only female winemaker nationally. There were 20 winemakers and I was the one female. The only girls were in admin and the lab; there were no girls in the vineyards, and there weren’t any girls in management. It was just amazing, but fast forward to now and if anything it’s definitely equal. We are so well represented now not just from a winemaking perspective but out in the vineyards, in marketing, wine writing and reviewing. It’s just incredible. They blow people away. I’ve always been a hands-on winemaker. I’m effectively a one-man band because the [Cake] boys are based in Sydney. I plan everything, so the first part of the year is me running through the vineyard, sampling my own grapes with our beautiful grape growers that I’ve been working with for well over a decade. As the grapes come off I’m dictating the harvesting and bringing the grapes into the winery. Every decision is mine in terms of what’s going on at the winery, including the styles that we’re producing, and then I’m also responsible for getting every wine blended and into bottle. Then the rest of the year is really about me being out in the market and helping with sales as well. It’s a critical thing with wine making. Some people are just winemakers and stay in the winery but I’m sort of an all-rounder across every aspect of the process, so I’ll be out there selling, tasting, and spending time in the brand new cellar door in Sydney. Wine is about being with your friends, about celebrating and being part of a bigger picture culturally, so it shouldn’t be intimidating. I think the beautiful thing about winemaking is that every single we are dealing with a completely different product. It’s almost like starting again in terms of doing the right thing. We never stop learning.